Many of our Wincham Clients have been asking about the implications of the United Kingdom leaving the European Union, and how this may affect their ownership of properties in Spain - either privately or within a UK Limited Company structure. Here at Wincham, we are monitoring the situation very closely, and take this opportunity to assure you that we are, and will continue to be at the forefront of events as they develop. We will be poised to anticipate and to deal with any changes that may occur over the coming months and years; ready to apprise you of any impact such changes could have on the structure of assets that are held in Spain. We will communicate updates to you, as and when developments occur. Between our UK and Spanish Offices, Wincham manages over 500 UK Limited Companies owning property in many regions throughout Spain and our clients’ continue to use Wincham, confident in the knowledge that their Legal and Financial affairs are well taken care of. It should be remembered that Trade Treaties have operated between the United Kingdom and Spain for many years and have existed long before the United Kingdom entry into the EU in 1973. Accordingly, and certainly for the foreseeable future, no notable changes are expected in the way the UK and Spain interact commercially. Following the implementation of "Article 50" the treaties currently existing will remain in place for at least a further two years until any future agreements are negotiated. On the UK’s ultimate exit from the European Union, commercial trade treaties will continue to operate from a non-offshore position. Spain maintains trade treaties with many countries – whether or not they are within the EU- such as Australia, China, and Uruguay, for example. Further, the UK is only one of many countries that maintain off-shore exceptions with Spain. If you do have any questions in relation to the United Kingdom leaving the European Union, then please feel free to contact us on info@wincham.com and we will try to address any concerns that you may have. Buy, Sell & Inherit Spanish Property in the most Tax efficient way and what Brexit could mean for property owners in Spain!! --- [Read]. 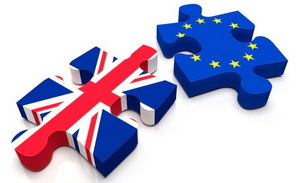 Exiting the EU, can still mean economic stability for British property owners in Spain!! --- [Read]. BREXIT - And what it could mean for British property owners in Spain --- [Read].